He was just 25 when his first novel, Everything is Illuminated, was released. 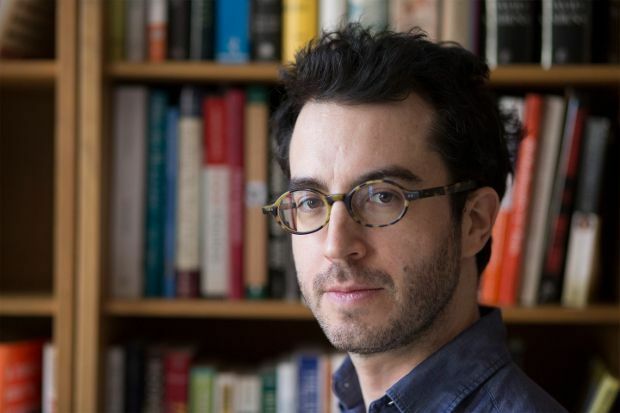 Ever since, Jonathan Safran Foer's been a literary megastar, though he's continually divided fans and critics too. That first book drew on two autobiographical stories: one about the shetl where his mother was born, and the other the journey of a young Jewish American (insert: Foer) to the Ukraine to search for the woman who saved his grandfather's life. It was made into a film (starring Elijah Wood as the author character) just a few years later, and his follow-up Extremely Loud and Incredibly Close got the same big screen treatment from British director Stephen Daldry. For bookworms who remember that time vividly, it's hard to believe it was now 11 years ago. And that's how long it's taken Foer to come out with his third novel, Here I Am, published in September. That's not to say he's been dormant since then. In 2010, Foer came out with Tree of Codes, more of a piece of art than a book, which took Bruno Schulz's Street of Crocodiles and cut out words to make a new story. A year before that, he released what we'd call his best piece of writing: Eating Animals, a smart and engaging investigation into American factory farming and the ethical dimensions of vegetarianism. Where his novels veer into schmaltz, Eating Animals is a thoughtful, multi-dimensional portrait of one of the world's most essential issues and a must-read, whether you eat meat or not. His new novel seems to return to the themes of his early work, focusing on an American Jewish family in a world where the Middle East is ravaged by an earthquake and Israel has been invaded. Fans (and keen haters) will be able to grab an early copy when he pops up at the book festival this month. Charlotte Square Gardens, 28 Aug, 8.15pm, £12 (£10).